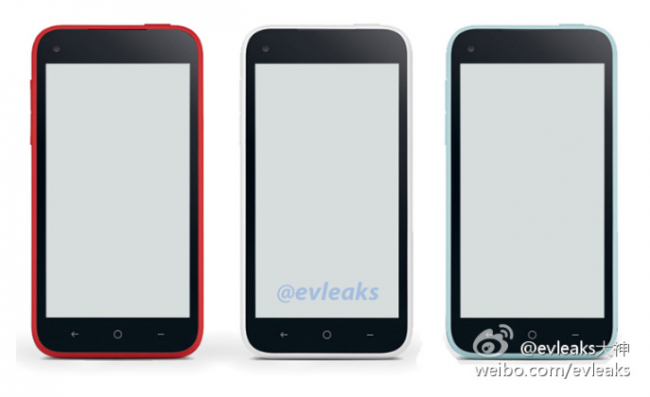 Weren’t feeling that plain black render we saw of the Facebook’s supposed HTC First device? No worries, it looks as though there will be multiple colors offered for anyone looking to be an individual and not such a conformist. Thanks to @Evleaks, the new image shows off a bright red, plain white, and baby blue version of the First. As for those specs, rumors floating around suggest that the First will sport a dual-core Snapdragon S4 Plus MSM8960 processor, 1GB RAM, 5MP rear camera, 1.6MP front-facing camera, Sense 4.5 atop Android 4.1.2 and a 4.3-inch 720p display. Sure, not the most beasty specs, but lets remember that Facebook won’t be marketing this device to superusers. I will be live from Facebook’s press event in San Francisco tomorrow morning, so you can expect to see some hands-on with the device after the announcement takes place. That is, if it is actually there. Are these colors giving you a change of heart?